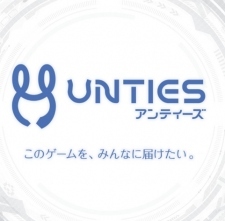 Sony Music Entertainment has launched a new games publishing label called Unties that will release titles across platforms. The aim is to publish third-party developed titles on both PlayStation and non-Sony platforms like PC and Nintendo Switch. The first title to be released under the new label is Area35’s strategy game Tiny Metal for PS4, Switch and PC, which will be launched on November 21st. Other upcoming titles coming to PC and potentially more platforms include I From Japan’s action game Last Standard, WinterCrownWorks’ survival title Merkava Avalanche. Rayark’s rhythm action game Deemo Reborn meanwhile is set to be released on PS4 and PSVR. Sony Music has had great success in the mobile space with the release of Fate/Grand Order, which has consistently been a top grosser in Japan. But until now it hadn’t expanded to other platforms. It’s an interesting move for Sony to go multi-platform for its new publishing label, particularly releasing games on another console like the Nintendo Switch. So far however Microsoft's Xbox One is notably absent from the list of platforms on which games are being released. Earlier this year Sony set up another company, ForwardWorks, to focus on developing games for mobile devices.